 Global Finance Cloud Market - Forecasts 2018-2025. Global Finance Cloud Market valued approximately USD 12.2 billion in 2017 is anticipated to grow with a healthy growth rate of more than 5.70% over the forecast period 2018-2025. The Finance cloud technology which is introduced mainly for the financial institutions which includes the Private and public banks, educational institutions and insurance sectors. The Finance cloud market is expanding and developing at a significant pace. The Cloud technology is on the rise taking into consideration the banking and financial institutions which have a major impact on the growth of a country’s economy on the global scenario. The financial sector is majorly opting and focusing on the finance cloud technology as it has the capacity to hold a huge amount of database along with lowering the key factors time and cost. The enhancing online transactions trends considering the mobile applications and online transactions in the banking sector across the globe is acting as key trend in the growth of the finance cloud market. The Professional Services segment which is a sub segment of services in the type segment is anticipated to hold the largest Market share considering the finance cloud market on the global scenario. The Business enterprises focuses on providing and delivering specialized and precise services to attain effective and efficient consumer experience. Attaining the operational efficiency considering feasibility of time and cost factors is boosting the demand taking into account the finance cloud market on the global scenario. The finance cloud market is also on the development and expansion mode as many of the key organizations such as Microsoft corporation, and oracle corporation have been focusing greatly on delivering the precise and specialized services considering the market. The constant rise in the demand for consumer satisfaction with faster and reliable support along with effective integration are the other growth drivers boosting the services market on the global scenario. The Consumer management segment which is a sub-segment of application segment in the finance cloud market is anticipated to grow with the highest CAGR as it provides efficient productivity, lowered time and cost and data analytics. The insurance sector and banking and financial services sector are adopting this application as it act as a base to solve the customer queries and register their issues and concerns focusing on the retention of the consumer which will be a major factor in the growth considering the forthcoming future. The regional analysis of Global Finance Cloud Market is considered for the key regions such as Asia Pacific, North America, Europe, Latin America and Rest of the World. North America is the leading/significant region across the world in terms of market share. Whereas, owing to the countries such as China, Japan, and India, Asia Pacific region is anticipated to exhibit higher growth rate / CAGR over the forecast period 2018-2025.